Contact the building staff if you want to discard or recycle LARGE objects, and check "computer recycling NYC" for commercial companies that recycle computers in the city. The article below concerns one of the first developments that Gluck bought and took out of the Mitchell-Lama program. Because Independence Plaza North was built AFTER 1973 (unlike our building), its rents would go to market rate. However, the strong tenant association there negotiated a "Landlord Assistance Plan" (LAP) so that rents would increase to market rate - but gradually. And since that building (unlike ours) had a federally-assisted mortgage while under Mitchell-Lama, many lower-income tenants there qualified for Section 8 enhanced vouchers. Under those vouchers, tenants pay a third of their household income in rent and the federal government pays the landlord the rest of the rent. The question of how high the rent is, therefore, concerns the federal government. Feds say Gluck is gouging I.P.N. Tenants of Independence Plaza North have been arguing for years that their apartments should be rent-stabilized — and now U.S. Attorney Preet Bharara is taking up the cause. Bharara’s office wants to recover tens of millions of dollars the federal government paid I.P.N. owner Laurence Gluck to support the Tribeca apartment complex’s low-income tenants. Bharara, in New York’s Southern District, also wants many of I.P.N.’s 1,339 apartments declared rent-stabilized. TheTenants' Association now has 9 digital apartment thermometers that we can lend out for a week at a time to tenants to keep track of the temperature in their apartments for their line. It means noting the temperature at least twice a day for a week. (3 times a day is better, but many people work outside their homes). 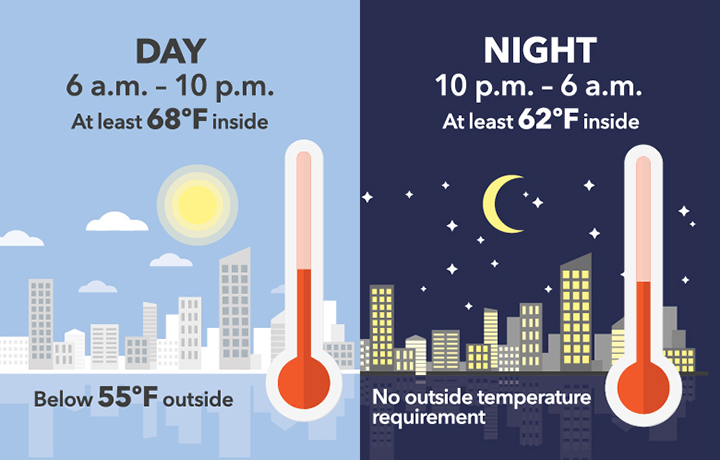 Evenings before10 PM (10 PM is when the legal temperature shift occurs from 68 to 55 degrees). HOT WATER MONITORS - This is for early risers only, since it must be done between 5 and 5:45 AM: Let the water run for 2 minutes and check whether it is hot. We have volunteers for some of the lines for HEAT and for two of the lines for HOT WATER. Contact Sue to sign up!